In the Netherlands Tariro House of Hope (THH) is registered as a Foundation. In Zimbabwe THH is registered as Trust and as a Public Voluntary Organization (PVO). As a result THH has three different sets of board members; the Board of Directors of the Foundation, The Executive Committee of the PVO and the Board of Trustees. Based in the Netherlands, she holds a BA (Hons) in English and a MA ESL from the University of Ife, Nigeria. 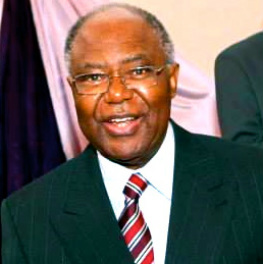 For 15 years Bukky was a Lecturer with the University of Ife (now OAU). 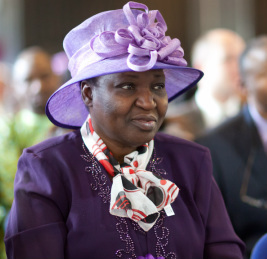 She is a Senior Pastor in charge of several Parishes in the Redeemed Christian Church of God (RCCG) Netherlands Mission. She also heads the Women and Africa Missions portfolio of the Redeemed Christian Church of God Europe Mainland. Based in the Netherlands, Dozie works in the oil and gas industry. He worked for Shell in Nigeria and in The Netherlands for 33 years. During his last six years he was a Development Manager with Shell Rijswijk, The Netherlands. Currently he is a Principal Partner with Kudoz Consulting. Dozie, a Pastor with RCCG has vast Administration experience. He serves as the Assistant National Coordinator of the Redeemed Christian Church of God (RCCG) Netherlands Mission.